2 Angel's Herald 4,- Foil! 8 Dispeller's Capsule 2,- Foil! 9 Elspeth, Knight-Errant 91,- Foil! 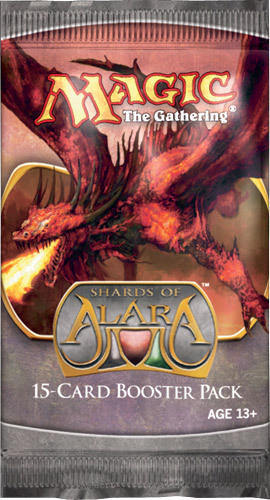 12 Guardians of Akrasa 2,- Foil! 13 Gustrider Exuberant 2,- Foil! 15 Knight of the Skyward Eye 2,- Foil! 17 Knight-Captain of Eos 11,- Ikke på lager! 18 Marble Chalice 2,- Foil! 21 Ranger of Eos 30,- Ikke på lager! 22 Resounding Silence 2,- Foil! 23 Rockcaster Platoon 3,- Foil! 24 Sanctum Gargoyle 2,- Foil! 25 Scourglass 18,- Ikke på lager! 26 Sighted-Caste Sorcerer 2,- Foil! 28 Soul's Grace 2,- Foil! 29 Sunseed Nurturer 3,- Foil! 30 Welkin Guide 1,- Foil! 31 Yoked Plowbeast 2,- Foil! 32 Call to Heel 2,- Foil! 34 Cathartic Adept 2,- Foil! 35 Cloudheath Drake 2,- Foil! 36 Coma Veil 1,- Foil! 37 Courier's Capsule 2,- Foil! 39 Dawnray Archer 3,- Foil! 41 Etherium Astrolabe 4,- Foil! 42 Etherium Sculptor 5,- Ikke på lager! 46 Jhessian Lookout 1,- Foil! 47 Kathari Screecher 2,- Foil! 49 Master of Etherium 38,- Foil! 50 Memory Erosion 18,- Ikke på lager! Foil! 52 Outrider of Jhess 2,- Foil! 54 Resounding Wave 2,- Foil! 57 Spell Snip 2,- Foil! 58 Sphinx's Herald 3,- Foil! 59 Steelclad Serpent 1,- Foil! 60 Tezzeret the Seeker 89,- Ikke på lager! 61 Tortoise Formation 2,- Foil! 62 Vectis Silencers 2,- Foil! 65 Banewasp Affliction 2,- Foil! 66 Blister Beetle 2,- Foil! 67 Bone Splinters 2,- Foil! 72 Demon's Herald 3,- Foil! 73 Dreg Reaver 1,- Foil! 74 Dregscape Zombie 2,- Foil! 78 Grixis Battlemage 3,- Foil! 81 Onyx Goblet 2,- Foil! 82 Puppet Conjurer 4,- Foil! 83 Resounding Scream 2,- Foil! 85 Scavenger Drake 4,- Foil! 87 Shore Snapper 1,- Foil! 88 Skeletal Kathari 1,- Foil! 90 Undead Leotau 2,- Foil! 93 Bloodpyre Elemental 2,- Foil! 94 Bloodthorn Taunter 2,- Foil! 98 Dragon's Herald 3,- Foil! 99 Exuberant Firestoker 3,- Foil! 102 Goblin Mountaineer 2,- Foil! 104 Hissing Iguanar 2,- Foil! 105 Incurable Ogre 1,- Foil! 107 Lightning Talons 2,- Foil! 109 Predator Dragon 9,- Foil! 110 Resounding Thunder 2,- Foil! 111 Ridge Rannet 2,- Foil! 112 Rockslide Elemental 3,- Foil! 113 Scourge Devil 4,- Foil! 116 Thorn-Thrash Viashino 2,- Foil! 118 Viashino Skeleton 1,- Foil! 120 Vithian Stinger 2,- Foil! 121 Volcanic Submersion 2,- Foil! 123 Algae Gharial 4,- Foil! 124 Behemoth's Herald 3,- Foil! 125 Cavern Thoctar 1,- Foil! 126 Court Archers 2,- Foil! 127 Cylian Elf 2,- Foil! 132 Gift of the Gargantuan 2,- Foil! 138 Mighty Emergence 3,- Foil! 140 Mycoloth 16,- Ikke på lager! 142 Naya Battlemage 3,- Foil! 143 Ooze Garden 9,- Foil! 144 Resounding Roar 2,- Foil! 147 Savage Hunger 2,- Foil! 149 Soul's Might 2,- Foil! 151 Topan Ascetic 3,- Foil! 162 Carrion Thrash 2,- Foil! 165 Deft Duelist 2,- Foil! 172 Hellkite Overlord 48,- Ikke på lager! 175 Jund Charm 4,- Ikke på lager! 176 Kederekt Creeper 2,- Foil! 179 Mayael the Anima 26,- Ikke på lager! 184 Qasali Ambusher 6,- Ikke på lager! 186 Rakeclaw Gargantuan 2,- Foil! 189 Rip-Clan Crasher 2,- Foil! 190 Sangrite Surge 4,- Foil! 201 Thoughtcutter Agent 4,- Foil! 202 Tidehollow Sculler 9,- Ikke på lager! 207 Waveskimmer Aven 2,- Foil! 218 Relic of Progenitus 35,- Ikke på lager! Foil! 220 Arcane Sanctum 7,- Ikke på lager! 223 Esper Panorama 2,- Ikke på lager! 226 Jungle Shrine 4,- Ikke på lager! 229 Seaside Citadel 6,- Ikke på lager! 239 Swamp 3,- Ikke på lager!